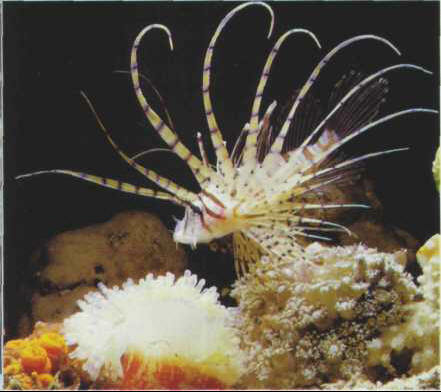 The antenna lionfish has four dark bands on its head. A close relative, P. sphex, has less intense coloring. The latter is hard to find in Europe, but is frequently imported into the United States. Size: 20 cm. ЮРИДИЧЕСКОЕ ЛИЦО , см. Лицо юридическое.